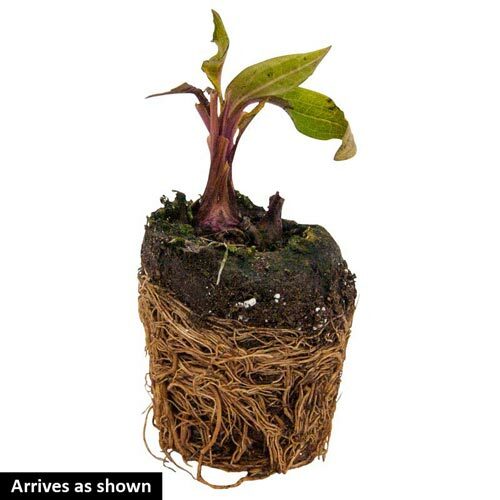 This new Echinacea strain won not just the prestigious All-America Award for performance in American gardens, but also Europe's Fleuroselect Gold Medal! 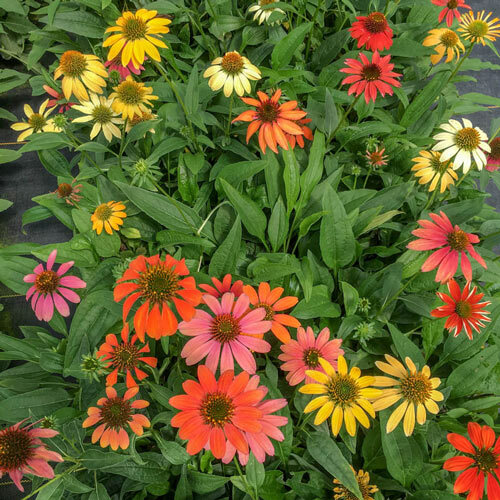 Its list of attributes is long and impressive, starting with the bright colors of the flowers, which include every color of the cone flower family, not just shades of pink and maybe white that make up most coneflower mixes. They are bred for compact plants with lots of branches, which translates to loads of flowers on compact 18-24" plants that stay neat and don't flop. Plus, they will last many years in the garden and are easy to grow, taking summer's heat and drought and winter's cold equally well; all they ask for is good drainage! As an added bonus, a grouping of these flowers creates a butterfly garden all by itself, and songbirds feast on the seeds. Echinacea 'Cheyenne Spirit'. Soil RequirementWell drained. Tolerant of a wide range of soil conditions also. PruningAfter flowering cut back spent flower stems to encourage further flowering. Additional InformationWill tolerate a wide range of planting sites from dry prairies to open woodlands. 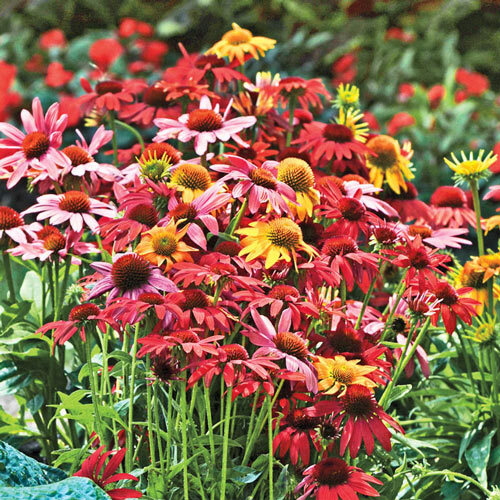 Unique CharactersticsStrong plants with beautiful mixed colors that are easy to grow in your garden or landscape. You will enjoy the gorgeous coloros during the summer till fall. 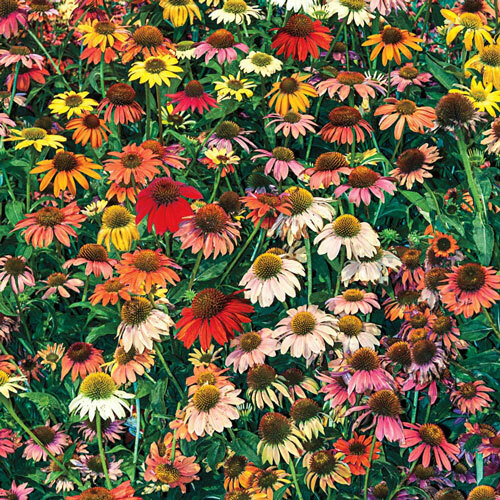 This sunlovers perennials will grown up to 30" and don't need a lot of water.